Ahmedabad - Gujarat Minister of State for Health Shanker Chaudhari has tested positive for swine flu and is undergoing treatment at his house in Gandhinagar. "Shanker Chaudhari's report, which came today evening, has revealed that he is having swine flu. He is now being treated at a special isolation room created at his residence in Gandhinagar," said state Health Commissioner J P Gupta. Earlier in the day, Chaudhari attended the state Assembly session which commenced today. He also took part in a discussion on the steps taken by the state government to control the outbreak of swine flu in the state. On Friday, Gujarat Assembly Speaker Ganpat Vasava had been tested positive for H1N1 virus and was admitted in a Surat-based hospital. Surat, Feb 20 : The auction for Prime Minister Narendra Modi's monogrammed pinstriped suit ended on Friday, with the winning bid fetching Rs. 4.31 crores. Diamond merchant Hitesh Patel placed the winning bid, stating that he would like to keep the suit in his office. "We will keep the suit in our office as a reminder of the noble cause we took part in," Patel said, after he was announced as the winner of the auction. The pinstripe suit in question was gifted to the Prime Minister by NRI businessman Rameshkumar Bhikabhai Virani. Prime Minister Modi had worn the suit while attending the Republic Day Parade. Gandhinagar, Jan 7 : Union Science and Technology Minister Dr. Harsh Vardhan today asserted that the research and innovation environment in India is rapidly changing, with the government actively supporting scientists with various incentive schemes. 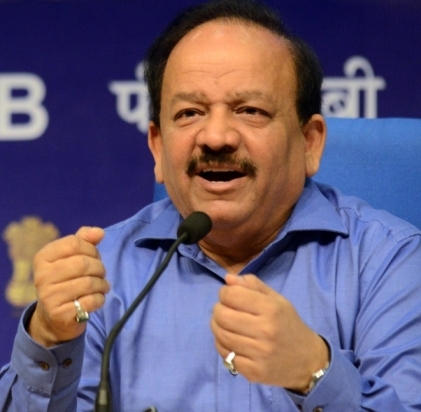 Speaking at an innovatively packaged 'Bharat Ko Maano' session at the Youth Pravasi Bharatiya Divas in Gandhinagar, Dr. Harsh Vardhan said Prime Minister Narendra Modi is particularly keen on institutionalizing linkages between resident Indians and the diaspora to promote exchange of ideas. Gandhinagar, Oct 27 : Gujarat Chief Minister Anandiben Patel on Monday assured that preparations are in place to deal with the impending Cyclone Nilofer. Rajkot (Gujarat), Oct 17 : Gold jewellery sales have doubled as shoppers throng markets to mark the auspicious occasion of the Gurupushya Nakshatra , Hindu festival celebrated largely in India. Jewellery retailers also attracted customers through massive discounts. Ahead of Diwali, the Hindu festival of lights, shoppers in Rajkot rushed to jewellery shops to make purchases. As per Hindu traditions, the Guru Pushya Nakshatra is considered highly auspicious for beginning new ventures or business and for buying gold or silver jewellery. It is believed that any new venture undertaken on this day guarantees good results. 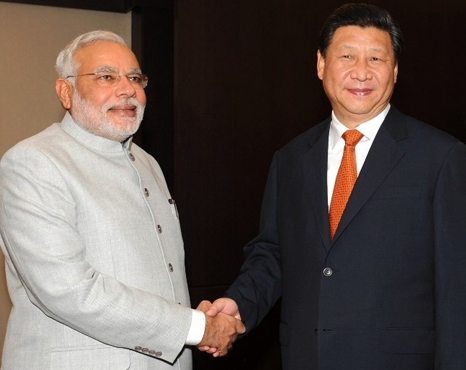 Ahmedabad, Sept 17 : Prime Minister Narendra Modi received the visiting Chinese President Xi Jinping and his wife at a hotel here on Wednesday. Prime Minister Modi presented a bouquet of flowers to both the Chinese President and his wife Peng Liyuan. The two leaders shook hands with each other and exchanged brief pleasantries. Earlier on his arrival, the Chinese President was received by Gujarat Chief Minister Anandiben Patel and her Cabinet colleagues at the Sardar Vallabhbhai Patel International Airport here. 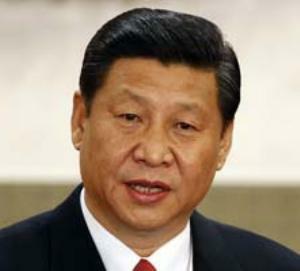 Ahmedabad, Sept. 17 - Chinese President Xi Jinping will arrive in Ahmedabad on Wednesday afternoon on a three-day state visit. He will be received by Gujarat Governor O. P. Kohli, Chief Minister Anandiben Patel and her cabinet colleagues at Ahmedabad's Sardar Vallabhai Patel International Airport at around 2 p. m.
President Jinping, his wife and his entourage will be given a traditional welcome along with a guard of honour. Prime Minister Narendra Modi will welcome him in Vastrapur, after which, both leaders will hold talks. Vadodara: In a bid to augment infrastructure at anganwadis in Gujarat and to provide better amenities to children studying there, the state Chief Minister Anandi Patel today appealed to people as well as NGOs to "adopt" such centres. "About 45 lakh children belonging to poor families are studying at about 50,000 anganwadis where facilities like clean toilets, power supply, pure drinking water etc. Are being provided. Though these children come from poor families, they deserve better amenities," Patel said at a function organised by the Vadodara Municipal Corporation. Vadodara: The country's largest private sector lender ICICI Bank on Monday said it plans to open branches in Australia, South Africa and Mauritius. The city-headquartered bank has received the regulatory clearances to open the branches and will also upgrade its representative office in China, Managing Director and Chief Executive Officer Chanda Kochhar said on the sidelines of its 20th annual general meeting here. Anand ( Gujarat), June 19- India's Amul has won the World Dairy Innovation Award-2014 for the best marketing campaign for its "Eat Milk with Every Meal" campaign. The finalists and winners in the World Dairy Innovation Awards 2014 were announced on June 17 at the 8th Global Dairy Congress in Istanbul, Turkey. K. M Jhala, Chief General Manager of Amul, received the award. The entry of the launch of Amul Kool in PET bottle was chosen as a finalist for the best innovation in brand extension. Vadodara: Prime Minister Narendra Modi incurred a total poll expenditure of a little over Rs 50 lakh in Vadodara, one of the two Lok Sabha seats from where he contested and won. Modi's campaign-related expenses stood at Rs 50,03,598, according to the accounts submitted to the Election Commission office here yesterday by Vadodara Mayor Bharat Shah who was in-charge of the BJP leader's poll expenditure for Vadodara. Gandhinagar, May 21 : Senior Gujarat minister Anandiben Patel was Wednesday unanimously elected the leader of the BJP Legislature Party here, making her the chief minister designate to succeed Narendra Modi. 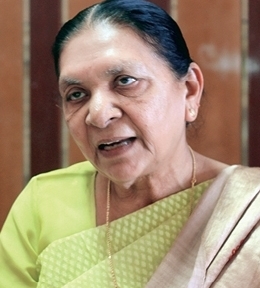 A teacher-turned-politician, Patel, 73, will be sworn in as the state's first woman chief minister Thursday. Vadodara (Gujarat), May 16 : In his first comments after the BJP won the Lok Sabha election, its prime ministerial candidate Narendra Modi made it clear Friday that his government will take everyone along. "The government belongs to all the people of the country, from Kashmir to Kanyakumari, from Kutch to Kamrup," Modi said days before he will be sworn in as India's next prime minister. Ahmedabad, May 14 : Narendra Modi will "definitely be prime minister", BJP President Rajnath Singh said and added the role of senior party leaders will be decided after discussions with them. Rajnath Singh, who arrived here to meet the Gujarat chief minister, Wednesday said he has been talking to Modi over phone but it was not possible to hold the entire discussion without sitting face-to-face. He said he decided to fly down to share the "experience of campaigning". Rajnath Singh met Modi just two days ahead of the counting of votes that were cast in the general elections. Gandhinagar, May 12 : In a video message on the last day of voting, Bharatiya Janata Party's (BJP) prime ministerial candidate Narendra Modi appreciated the voters stamina to come out and vote in scorching weather. "Despite the scorching heat, people have come out and voted to give strength to the new government. Without the people's involvement, this festival of democracy could not have been possible," Modi said. He also held out hope that the election commission will be able to conduct the last phase polls peacefully and not totally depend on the help of the state police. Kathlal (Gujarat), Apr 24 : Bharatiya Janata Party (BJP) President Rajnath Singh on Thursday extended his best wishes to the party's prime ministerial candidate, Narendra Modi, who filed his Lok Sabha nomination from Varanasi. "I extend best wishes to him from my party and myself, and we are very confident that he will win from both Varanasi and Vadodara," said Rajnath Singh. Valsad (Gujarat), April 24 : Congress president Sonia Gandhi Thursday took on Narendra Modi on his home turf, accusing the BJP's prime ministerial candidate of not doing enough to prevent corruption in his state. "I want to know why the Gujarat government took 10 years to appoint a Lokayukta here?" Gandhi said at a public meeting in Valsad. Taking a jibe at the Gujarat model, Gandhi said the state was burdened with a debt of Rs. 175,000 crore. "The BJP claims that if it is elected, heaven will come down on Earth. The truth is Gujarat is burdened with debt," Gandhi said. Gandhinagar (Gujarat), Apr 16 - Bharatiya Janata Party (BJP) prime ministerial candidate Narendra Modi on Wednesday struck a statesman like tone, when he said he wanted to bury a thorny personal relationship with the United States (U. S.) and build on a future that will keep New Delhi's interest at the top. Modi told Smita Prakash, Editor (News) Asian News International (ANI), in an exclusive interview held here that he would do his best for India.